I LOVE DIY Wedding Crafts that really make your wedding unique (without cleaning out your wallet!). So this week, I wanted to share this fun way to dress up your wedding shoes with these DIY Glitter Bottom Heels! This craft is SO easy to make, and can be customized to any wedding theme and color! When I got married I had an Alice in Wonderland theme, and dressed up my wedding flip-flops (yep, I wore flip-flops at my wedding, no shame!) with a red glitter bottom, and they were a huge hit! I chose green for this tutorial because it’s my favorite color, and I watched Once Upon a Time last night, so it got me thinking how cool would this be for a Wizard of Oz themed wedding!? (Anyone feeling Wicked?) Are you ready to get started? Step 1: Pour your modge podge (about 1/4 of a cup) into a cup and stir in a little bit of your glitter, this will be your base. 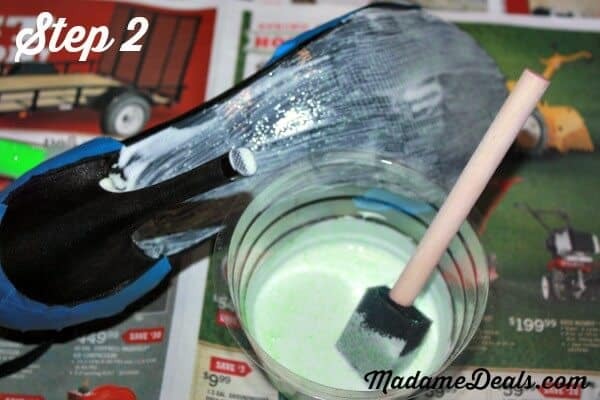 Step 2: Using your painters tape, tape off the sides of your shoes, this step isn’t necessary, but if you know you are a messy crafter (like me) then I recommend it! 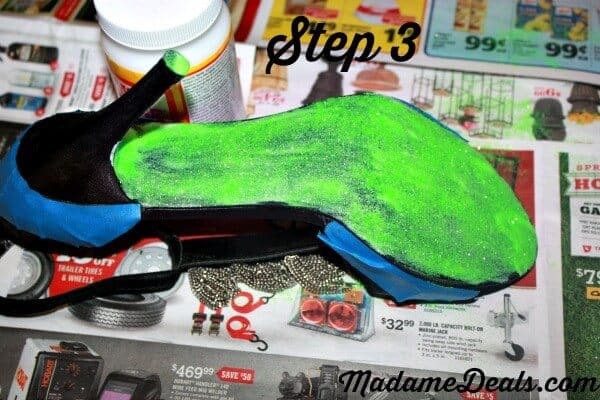 After you have your shoes taped, brush a thin layer of your Modge Podge mixture over the bottom of your heel. 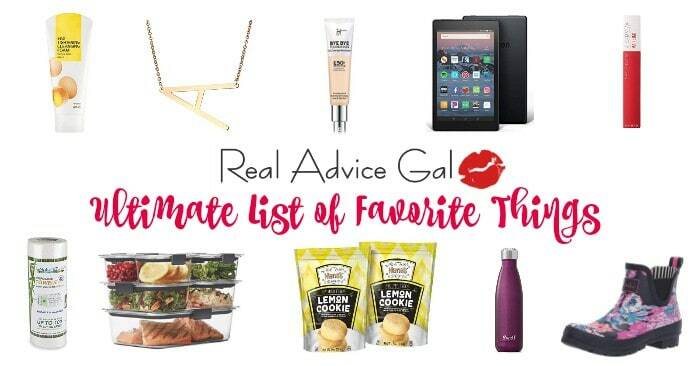 Make sure it isn’t clumpy! 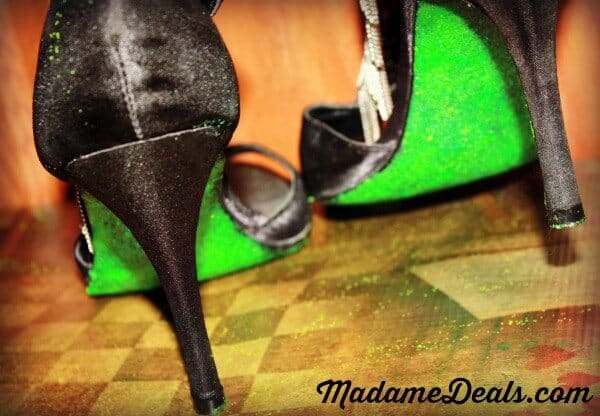 Step 3: Next, using your remaining glitter, pour the glitter over the bottom of your heel, using your sponge to gently spread it over the entire heel. Let dry for about an hour. Step 4: After your glitter has dried, put on a second later of Modge Podge. 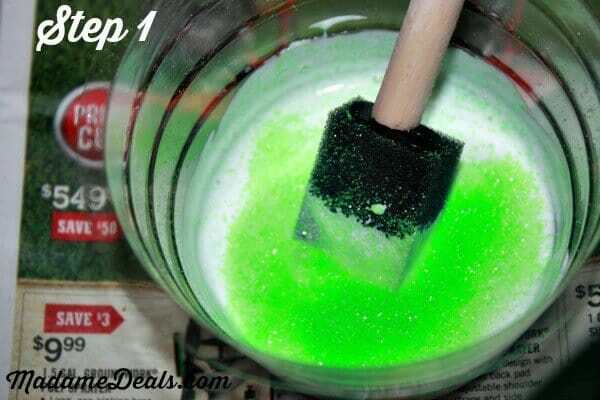 This will act as a sealant and ensure you won’t be leaving a trail of glitter everywhere you go. (Although that would be cool right!?) After you have finished both heels you will leave them to dry overnight. That’s it! 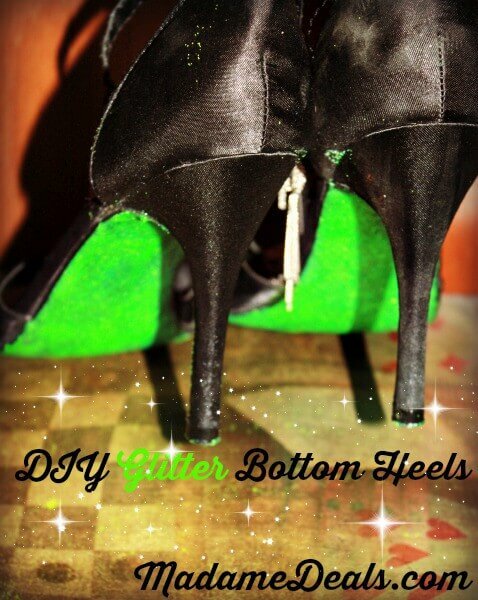 4 easy steps to have some awesome DIY Glitter Bottom Heels! Because of the final layer of Modge Podge the glittered surface will be smooth and shiny and you will be ready to hit the dance floor! Did you make any DIY Wedding Crafts for your big day? Let us know in the comments below! Water Bottle Craft: Bride-to-be Edition!